Over 15 years, Pauline has served in various capacities both in the private and social sector. Throughout the journey, people and education have been at the centre of her work starting from her tenure in Human Resources in AIESEC chapters in her home country and abroad. Her strong sense of adventure and curiosity in people development led her all the way to Malaysia, where she served in various units of Human Resources at DHL. Returning home, she worked at KCB Foundation where she managed various community development projects such as an education program providing secondary school scholarships and mentorship to over 1,000 children from disadvantaged families. Mastering her intrapreneurial skills, she championed an inclusion agenda by deliberately recruiting 40 students with disability to the scholarship program each year. After years of supporting social impact work within the private sector Pauline now manages the Post Graduate Certificate in Social Innovation Management Program at Amani Institute. 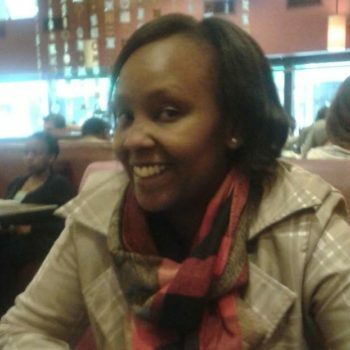 Pauline holds an MA in International Education & Development from the University of Sussex (UK), as well as a BEd in Business Studies and Economics from the Catholic University of Eastern Africa (Nairobi). When she is not at work, she enjoys road trips, taking long walks, dancing, hearty debates and cooking by herself but most preferably with friends.